It’s a sad tragedy that several New York City cab drivers took their lives in recent months. Increased competition on the roads has forced cab drivers to work more than before and some face financial ruin from deflated medallion values. Cab unions are using this tragic situation to push for more regulations on technology. However, it would be better for the most stringent regulations on cabs to be relaxed so that they can regain their financial footing. Protesters placed four coffins on the steps of New York’s City Hall as a backdrop while the New York Taxi Works Alliance demanded that the city cap the number of ride-hailing drivers on the road. The heart of their contention is that competition is driving them out of business. Cabs actually don’t operate in a truly competitive environment, if they did they might be in a different situation. The city regulates the fares they charge and the number of cars on the road. Compare that to ride-hailing, where passengers drive demand and, to some extent supply, as drivers hit the roads to meet demand. Limiting the number of ride-hailing drivers on the road will not solve the oversupply problem because demand has not increased. At best, cabs can hope to maintain their current earnings. Capping ride-hailing also doesn’t deal with the immediate issue of plummeting medallion values and the longer-term structural shift occurring in transportation. Medallions are city-issued permits to drive cabs. With the number of medallions fixed, their prices rose to more than $1 million in 2013. Up until recently, medallions were a ticket to a middle-class life and a secure retirement. The medallions were such a solid investment that drivers borrowed against their rising values to purchase homes and put their kids through college and achieve their American dream. But taxi medallion prices were a bubble waiting to burst. The entrance of ride-hailing in 2010 decreased the demand for cabs. The prices of medallions have been in free fall, losing 50 percent of their value. Although there are now signs that the prices are bottoming out, they are below what many drivers paid for them, many drivers are underwater on the loans they took out to secure their medallions. Bailing out taxicab drivers is not the right solution. This is a failure of policy to adapt to a changing economic environment. 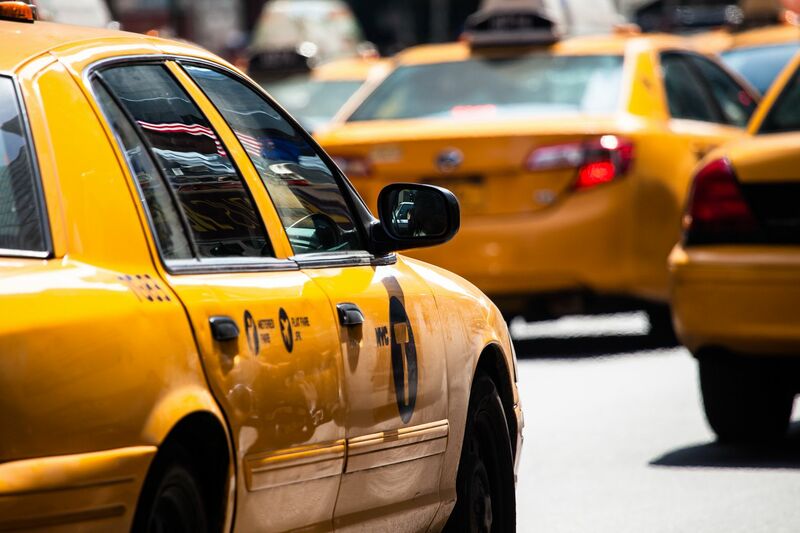 Perhaps if the number of cabs on the road was driven by demand rather than set by government, the prices of medallions wouldn’t have inflated into a bubble. It is also time for taxicabs and the transportation industry to think about what technology means for employment in the future. Desai misses the point of ride-hailing and ignores the glaring changes coming to his industry. Ride-hailing it is not a primary income source for most drivers. According to a 2017 survey of 1,100 ride-hailing drivers by the Ridehailing Guy, less than one-third, 31 percent, of drivers say that most or all of their income is derived from ride-hailing. That is consistent with 2015 analysiswhich found that 33 percent of driver-partners had no other job while 52 percent worked a full-time job and 14 percent a part-time job. It also mirrors Pew's findings of sharing economy workers on all digital platforms. Transportation is undergoing disruption by technology from ride-hailing to automation. The Obama White House predicted that 3 million drivers, including delivery, tractor-trailer, taxi, and ride-hailing, will see their jobs eliminated over the next decade. Driving people or things around may not be an abundant source of full-time jobs on which individuals can raise their family in 30 years. A more competitive market will help both ride-hailing and taxicabs. The city should consider removing the limits on medallions and lowering taxicab prices to encourage healthy competition. Let riders decide which mode offers them the best option. Drivers will migrate to where they can succeed or to something else entirely. Patrice Lee Onwuka (@PatricePinkFile) is a contributor to the Washington Examiner's Beltway Confidential blog. She is a senior policy analyst with the Independent Women's Forum.